Of all the places you could be moving to, Miami has to be one of the most exciting. The lifestyle lived by many in the Miami area is world-famous thanks to incredible nightlife, wonderful beaches, warm weather, and much more. Miami is truly an international city, and one that you will be quite lucky to be able to call home. Regardless of what city you are moving to, the process of moving doesn’t get any easier. It can be overwhelming to take on the task of packing up all your belongings, organizing them, and getting them into place in your new home. Whether this is your first move or you have moved many times in the past, the job is still a challenging one. Many big cities can take on a cold and unwelcoming feeling, with nothing more than miles and miles of concrete and buildings. While there are plenty of streets and high rises within Miami, there is also personality that can be found in all corners of the city. With a vibrant community feeling and representation of many different cultures, life is rarely boring in the greater Miami area. Beyond the personality that can be found throughout the city, opportunity also awaits. An international city that is home to many businesses both large and small, the Miami area is a great place to build a career and live an exciting life at the same time. No matter what is bringing you to Miami, it is unlikely that you will ever want to leave. Picking the right moving company is the single most important part of completing your move successfully. When you have an experienced Miami moving company on your side, you can take much of the stress out of the process so you can relax and enjoy the prospect of moving to your life to Miami. There is no substitute for experience, so work with a moving company that knows the Miami area and have the expertise and equipment needed to get the job done. Make sure to ask for references so you can speak with actual clients who are satisfied with the work that was done. Of course, you don’t want to pay more than necessary for the moving services that you receive. There is a fine line between saving money and hiring a quality company that can get the job done. When you are considering hiring a specific company, make sure to get a quote in writing and find out what additional costs are possible beyond that original quote. If you have special needs for your move – such as moving a piano or other challenging items – make sure any company you are considering has the skills to take care of those needs. 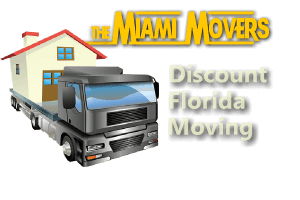 Not all Miami area moving companies are able to handle those kinds of difficult jobs, so be sure to ask. 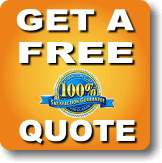 In the end, finding the right Miami moving company comes down to asking questions and making sure that the business can meet your needs. Once you have selected your movers, you can start looking forward to living an exciting life in the beautiful Miami area!